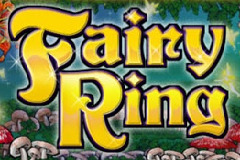 With whimsical images of fairies, butterflies and toadstools, Fairy Ring is a colourful online pokie from Microgaming that has just 3 reels, but also 3 paylines, wild substitutions and a jackpot payout equal to 5000x the amount bet per coin. The theme of fairies, pixies, enchanted forests and all that malarkey is quite popular and this one doesn’t break with tradition much, with standard bar symbols making up the bulk of the icons here. This game will appeal to fans of classic pub-type fruit machines, as it’s easy to follow, pays out nice, regular wins and has the potential to bring in some substantial prizes as well. There’s a pleasing backdrop of lilies and ivy to the reels, with everything laid out just as players would want in a 3-reel pokie. So we have the game logo sitting below the reels on one side, and the other side is taken up by the paytable which has details of the expected payouts for each combination of symbols. Underneath all of this is the standard Microgaming control panel that players use to select their bet size and spin the reels. There’s nothing radical about the presentation, nor should there be. By having 3 paylines however, instead of the more common single line, this game gives players the option to activate 1, 2 or 3 lines and get a better jackpot payout as a result. If just 1 or 2 lines are played, then any winning combinations that land on in-active ones won’t count, so it’s up to the player to decide if they want to make a bigger bet and get more winning spins, or a smaller wager and wait a little longer to get any returns. Setting the bet size is a matter of clicking the + and – buttons to adjust the value of each coin from as little as 0.25, through 0.50, 1.00, 2.00 and finally 5.00, while the Bet One button brings 1, 2 or 3 coins into play for a maximum wager of 15.00. That’s not a huge maximum but is fairly normal for these games, however many people like to make bigger bets, so could be put off by this. The paytable shows how much will be won for each combination, with figures expressed as the value of a coin, so from the bottom, the Any Bar prize is 7x the amount any coins’ have been set at. 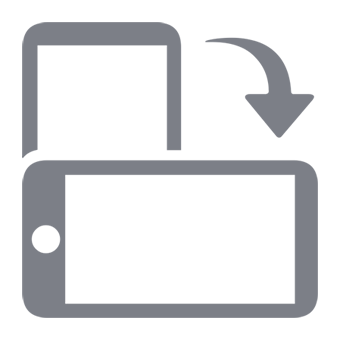 Single, double and triple bar icons fill much of the rest of the paytable, and consequently much of the reels, with singles being worth 15 coins, doubles are 30 and triples will pay out 80 coins for a line of them. A couple of images specific to the game are up next, starting with some red toadstools carrying a value of 150 coins when landing across an active line. Topping out the standard symbols is a colourful butterfly that’s worth 300 coins. The fairy symbol is the really interesting one however, as she not only pays out the jackpots, but is also a wild, substituting for any other symbol. If 2 of the single bars land on an active line for example, it wouldn’t equal a winning combination, but if the third symbol is the fairy, she will complete the line and the player picks up a prize. The jackpot payout is where playing 1, 2 or 3 coins can make a difference. A line of fairy symbols when playing a single coin will be worth 1,500 of them, if 2 are activated then the payout is doubled to 3,000, but if all 3 are used, then instead of the expected 4,500-coin reward, it’s actually boosted to 5,000. At the maximum 5.00 per coin, that’s a prize of 15,000.00 to be won. 3 paylines lift this game above the rock-bottom basic Poker machines, and it’s nice that players get the option to make just a small bet on a single line, or go for them all for the more frequent payouts. While the maximum bet may be lower than some would wish for, the 5,000-coin jackpot is certainly quite generous. Some games have wild symbols which act to multiply payouts as well, and maybe that would have been nice to see, but it’s not the end of the world to be missing that feature. The design will certainly appeal to a section of the pokie-playing public, although equally it may put off some people who think it’s too quaint for them.